Crowdsourcing is a method of outsourcing, where an individual, company, or other organisation assigns work-related tasks to a crowd of Internet users. It is generally viewed as a production model, which asks for a mass of Internet users to contribute knowledge, information and ideas, or to perform specific processes or tasks. The word itself is derived from the words “crowd” and “outsourcing” and is said to have been coined in 2006. The main way in which crowdsourcing differs from outsourcing is through the policy of relying on an undefined crowd. This means that work is open to be taken up by a large number of different people, on an open call basis, rather than being outsourced to a small and more specific group. Notable examples of crowdsourcing include the online encyclopaedia, Wikipedia, and the human intelligence marketplace, Amazon Mechanical Turk. Although crowdsourcing, as a concept, is considered a modern phenomenon, which is primarily associated with online capabilities and the digital age, the basic principle behind it has a long history, which pre-dates the existence of the Internet. To provide one example, in 1884, the first edition of the Oxford English Dictionary was published and its creation relied upon the contributions of around 800 volunteers. Nevertheless, the modern interpretation or business policy tends to be linked to concepts like open-source software projects, crowd-funding sites like JustGiving, established in 2000, which allows the public to raise money for charities, and Wikipedia, which was launched in 2001 and allows users to create, edit and otherwise contribute information to its encyclopaedia entries. The word ‘crowdsourcing’ was reportedly coined in 2006 by Jeff Howe. The basic philosophy behind crowdsourcing is that it allows a diverse range of people to contribute towards a project or task. Not only does this potentially allow a business or company to save time and money on the tasks being carried out, it also means solutions come from the cumulative knowledge and expertise of the crowd, rather than relying on individuals. In this sense, it can be considered an example of the ‘wisdom of the crowd’ concept. A business that chooses to crowdsource tasks may choose to pay those who contribute, as is the case with Amazon Mechanical Turk, or may offer them other rewards. For example, businesses may sometimes run competitions, where they are essentially crowdsourcing new ideas, new designs, new information and new concepts, with the winner being given a prize. Alternatively, crowdsourcing may be completely voluntary, like with Wikipedia. Creative Crowdsourcing – Essentially, creative crowdsourcing encompasses any type of crowdsourced work with a creative core. This may include crowdsourced book projects, website projects, design projects and so on. Crowds may contribute towards creative projects on an individual basis, submitting their own creations, or on a collaborative level, knowingly working in conjunction with others. Textbroker UK can be considered a creative crowdsourcing platform, allowing content creation to be crowdsourced online. Crowdfunding – The idea behind crowdfunding is to source the funds for a project from a large number of Internet users. For example, an individual or company may seek funding for a book, video game, movie or television series. Cowdfunding is also often used to raise money for charities. Generally, each person contributes a small amount, often because they believe in the project, helping it to get closer to its funding target. In some cases, contributors then receive rewards, either instantly, or when the project comes to fruition. Competitions and Crowdvoting – Both competitions and crowdvoting allow a company or individual to gain insight from an existing customer base, therefore improving the chances of success. For instance, a food business may run a competition asking for customers to submit ideas for a new menu item. Alternatively, that same business may rely on crowdvoting to help them decide between a number of proposed new menu items. Microwork and Macrowork – Microwork involves crowdsourcing lots of small, unskilled tasks, which cannot currently be accurately replicated by computers and other automated methods. This includes the vast majority of the tasks found on the Amazon Mechanical Turk platform. Macrowork, on the other hand, tends to involve larger projects, the solutions to which require a much more specific set of skills or knowledge. Implicit Crowdsourcing – The basic principle behind implicit crowdsourcing is that users complete tasks, but do not necessarily realise they are contributing towards a larger project. For instance, many websites require users to prove they are human by entering CAPTCHAs, where they are shown an image of a word and must then type it. This serves an additional function by helping to create digital copies of old books by deciphering them. Google also use a number of similar methods for Google Images and Google AdWords. One of the biggest advantages to crowdsourcing is the ability to dramatically expand the knowledge base from which a company or individual is drawing from. This can make crowdsourcing a highly effective method for procuring ideas on an international scale. Other advantages to crowdsourcing, from the perspective of the crowdsourcer, is that work can be done in less time and to a high standard, while costs are usually kept low. From the point of view of people actually carrying out the tasks or contributing ideas, outsourcing allows people to become directly involved in the development process of projects they are passionate about. Moreover, outsourcing platforms have the potential to provide steady work for freelance workers. Through methods like crowdfunding, contributors can also help to bring projects to life which would otherwise be impossible to finance or create. Despite the increasing popularity of crowdsourcing, there are also some limitations and disadvantages associated with it. One commonly cited problem is the lack of quality control involved. Indeed, crowdsourced projects often allow anyone to contribute, which can result in unqualified contributors, or people who wish to deliberately sabotage the project. This is one reason why the reliability of information on Wikipedia is often questioned. There are also ethical concerns related to crowdsourcing policy. For instance, individual members of the crowd are not employed and often have very little in the way of labour rights. They may be paid less than minimum wage and the people requesting the work often have the right to withhold payment for many reasons. Crowdfunding has also been criticised for providing funding for too many high-risk ideas, which do not make it past the development stage. Crowdsourcing is an outsourcing method, whereby an individual or business utilises the capabilities of a crowd of Internet users to perform processes or tasks, which usually relate to the production of content. There are many types of crowdsourcing, ranging from creative crowdsourcing, where creative content is outsourced, to crowdfunding, where a crowd of Internet users provides the funding for a project. In general, crowdsourced projects allow businesses to expand the knowledge base from which they draw from and save time in completing tasks. 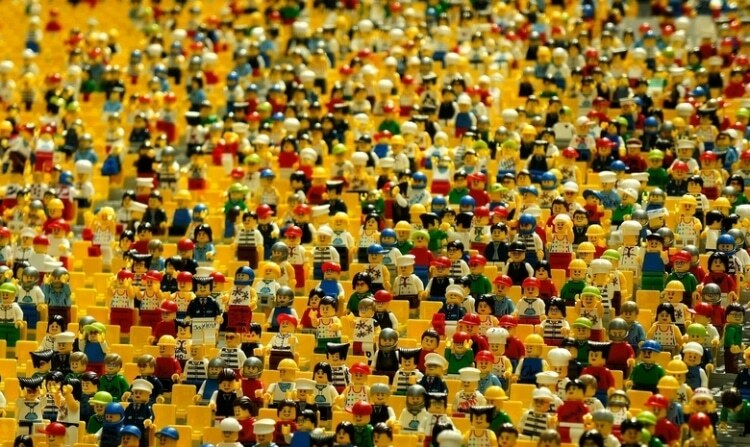 The basic concept can be tied to the idea of the wisdom of crowds. With that being said, criticism of crowdsourcing often revolves around the lack of restrictions to who can contribute. This can, theoretically, result in low overall quality, because members of the crowd may not have the necessary expertise.